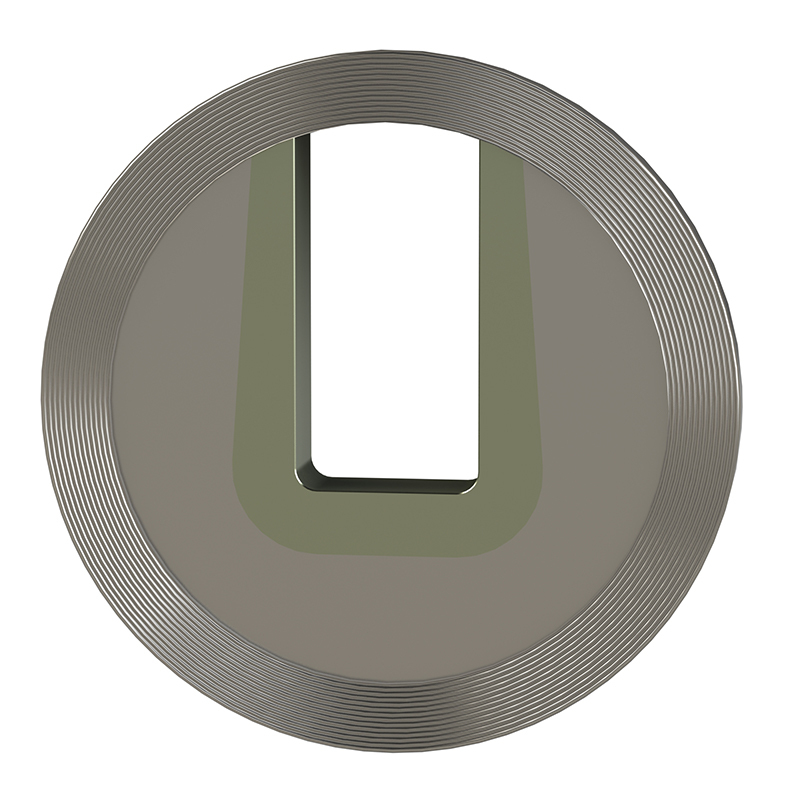 SlurryFlo’s patented trim design acts as a variable orifice, centering the abrasive flow within the pipe. This protects the pressure containing valve body and the integrity of the downstream piping. 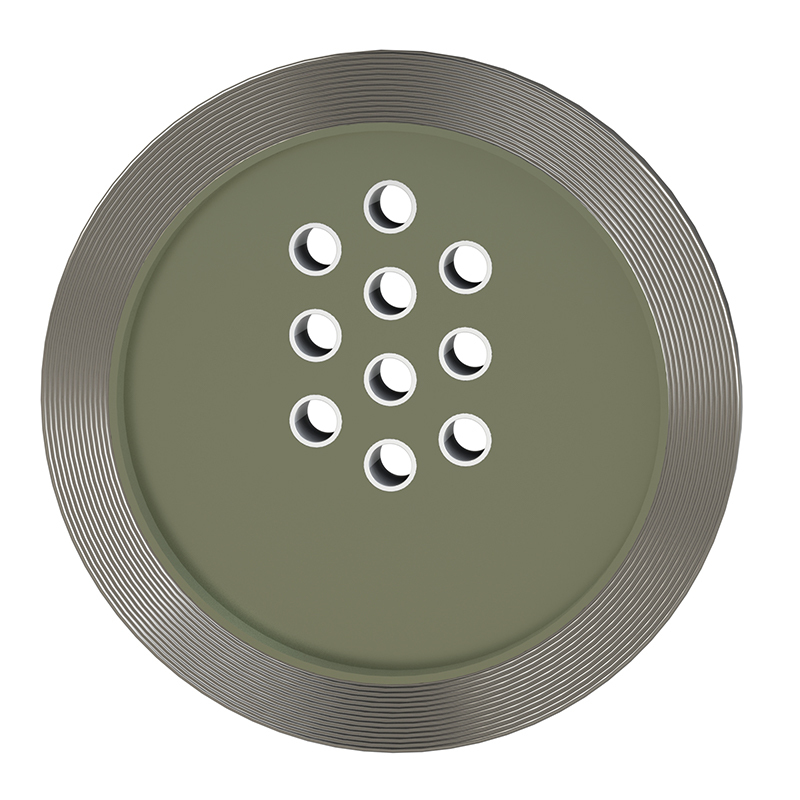 There are no 'off-the-shelf' SlurryFlo control valves; each one is manufactured with a unique seat plate design. 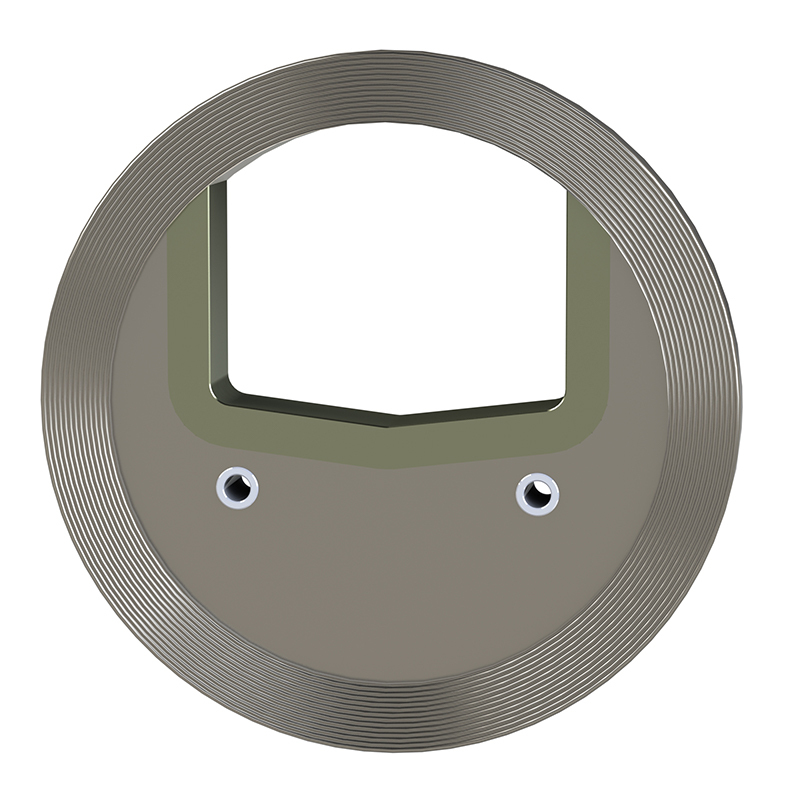 Based on application requirements and SlurryFlo’s proprietary sizing calculations, the seat plate is waterjet cut and CNC machined to our engineers’ exact specifications. 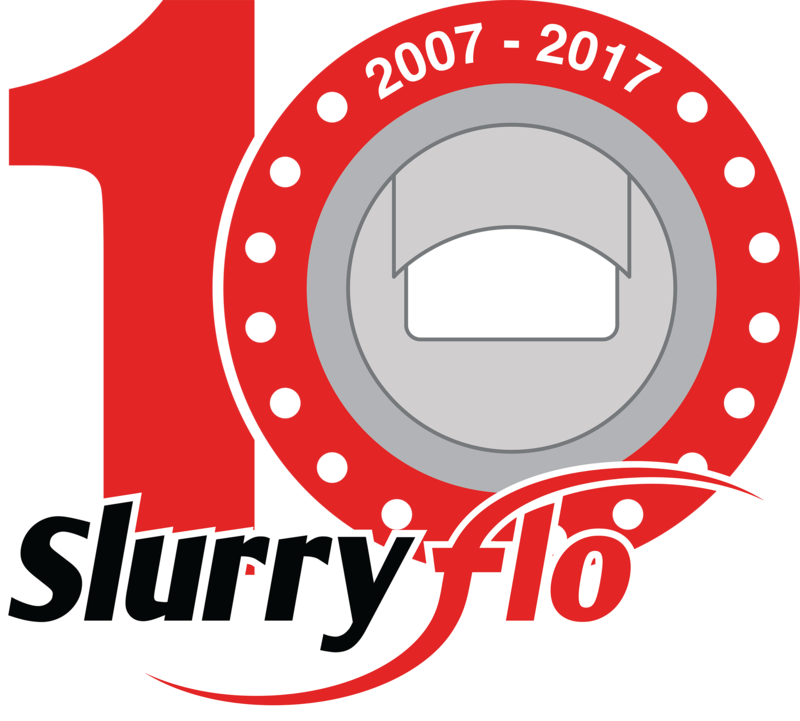 SlurryFlo’s design philosophy is to achieve an 'equilinear' valve characteristic; however any custom flow characteristic can be achieved. There are literally infinite trim geometry possibilities. 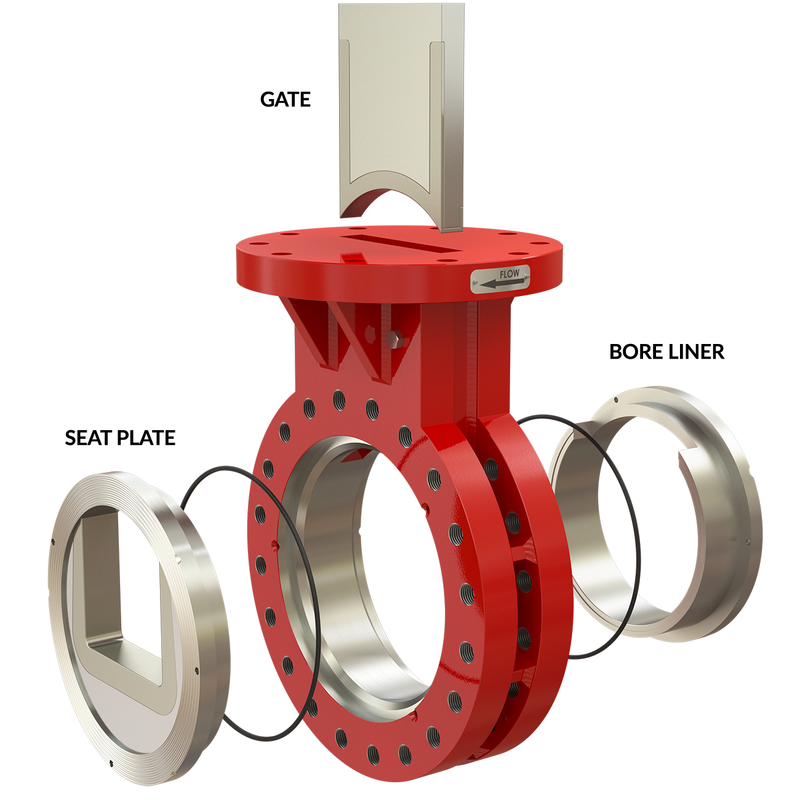 If flow conditions change over time, SlurryFlo can retrofit the existing valve with a new/revised seat plate. 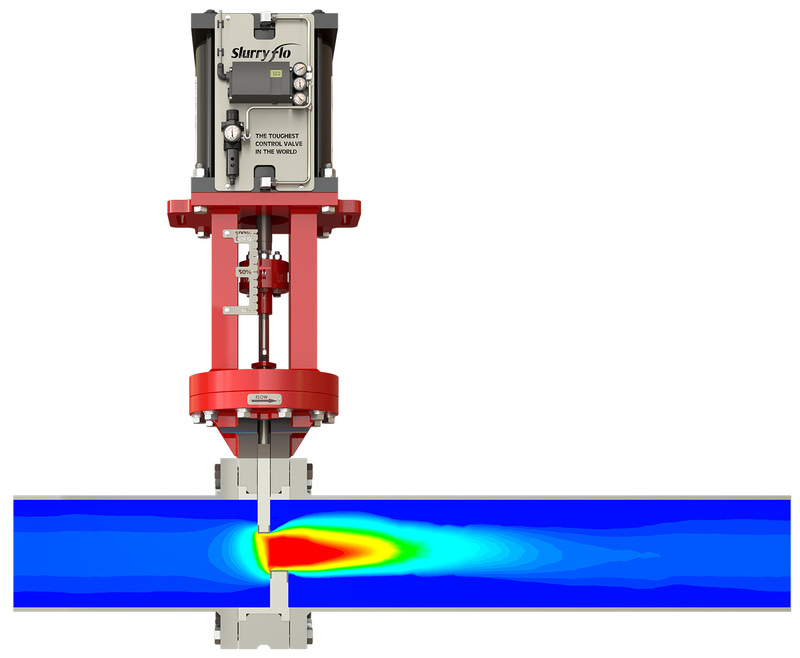 An alternate Cv and/or flow characteristic can be achieved without changing any other parts. The custom seat plate works in concert with the valve's gate resulting in a centered orifice with variable control. If increased flow is temporarily required, the gate can be retracted beyond its normal throttling positions. 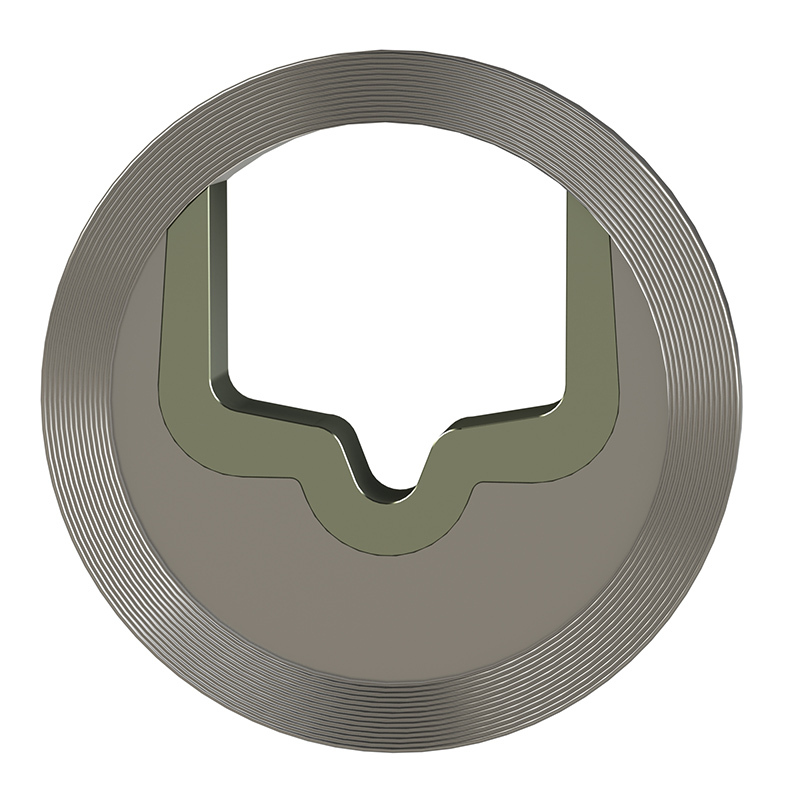 The concave gate profile always matches valve's bore. These valves are designed for modulating, however the gate may be closed if required. The metal-to-metal seating surface provides a Class IV shutoff, blocking 99.99% of the valve's rated Cv. The gate and seat plate are available in dozens of standard and exotic metallurgies. 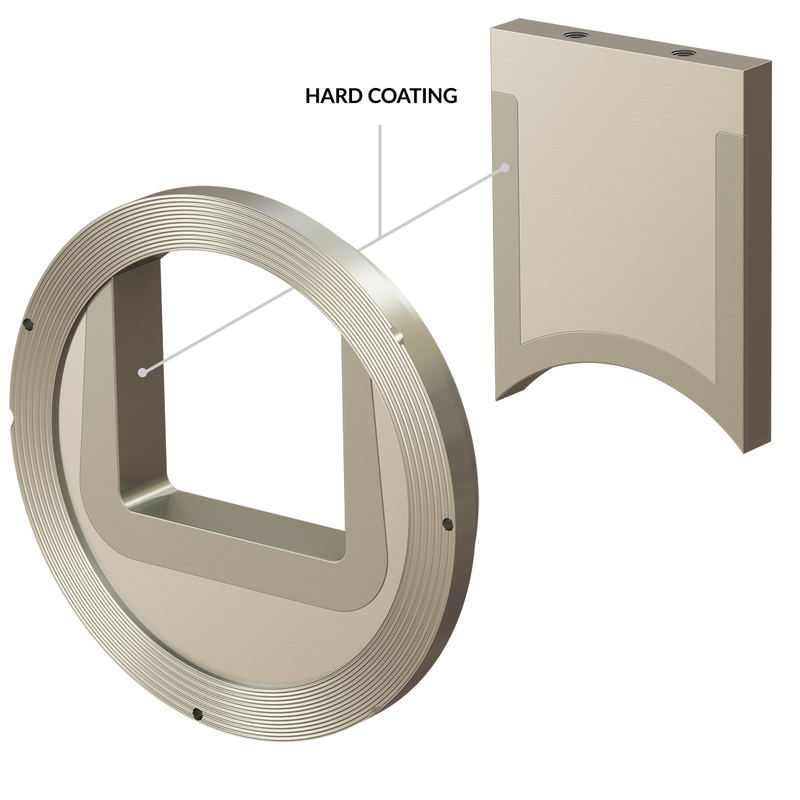 These trim components are then coated with a state-of-the-art hard overlay, such as tungsten carbide (applied via PTAW process). 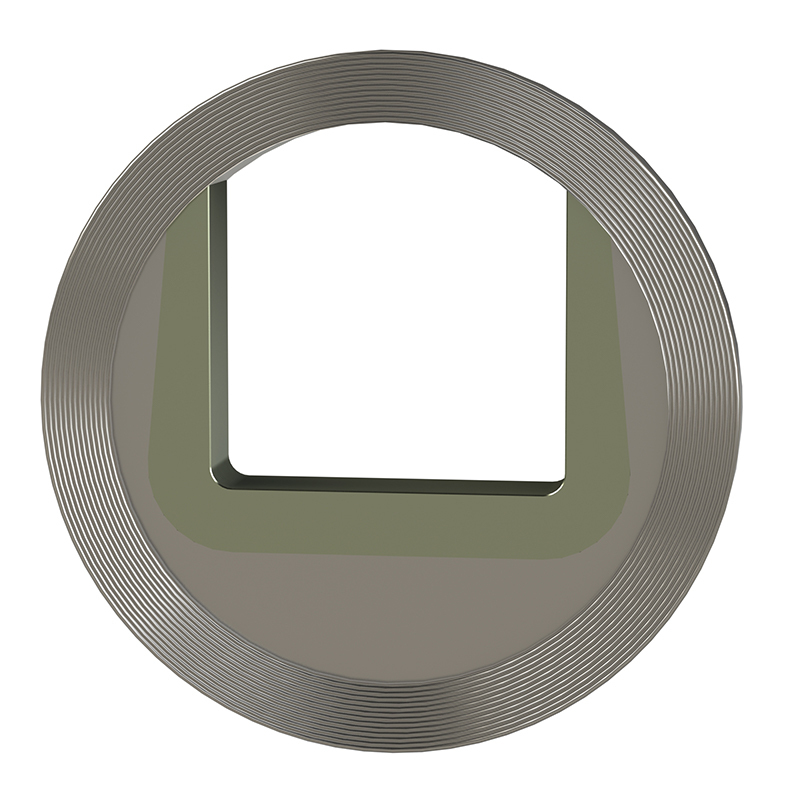 This provides a corrosion proof trim that resists abrasion incredibly well. Due to SlurryFlo's patented design, only the trim components are exposed to erosive flow. Once they do eventually wear out, the parts can be field replaced to reset the service life clock. 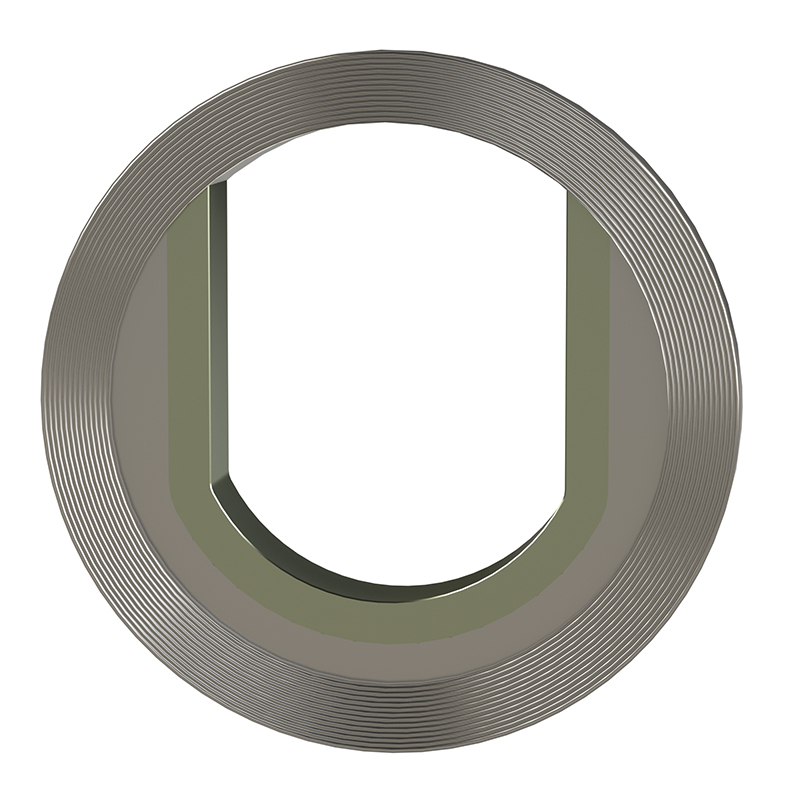 Each trim replacement essentially provides a new valve at a fraction of the cost. Similarly, if flow conditions ever change, a new seat plate can be specified to provide an increase or decrease in flow. 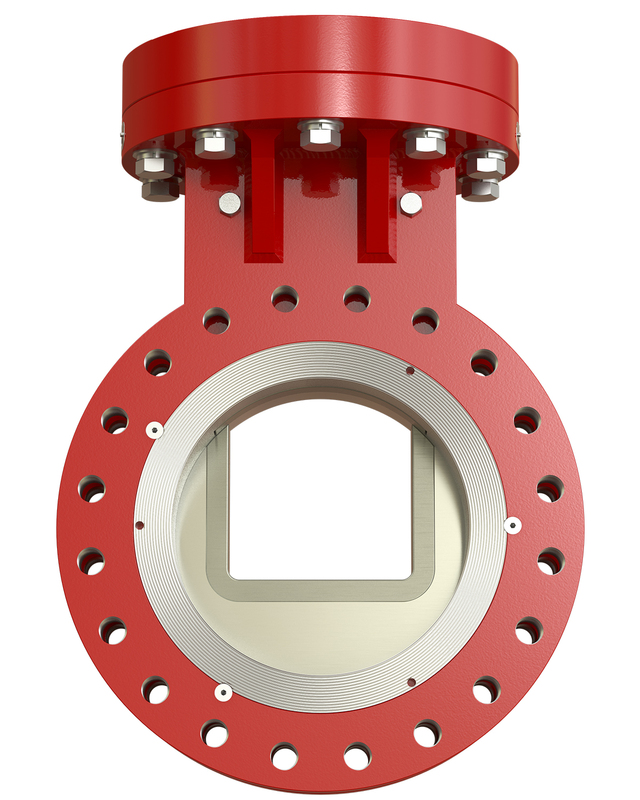 There is no need to replace the entire valve assembly (often the case with other valve designs). 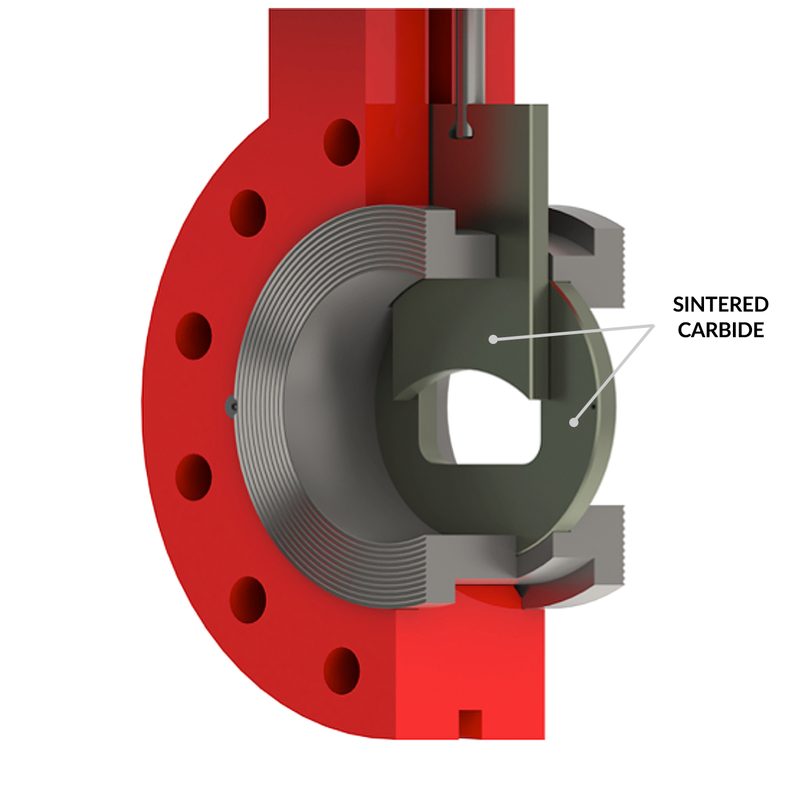 SlurryFlo's bonneted gate design allows for a compact stem seal assembly (i.e. around the gate stem). This set-up reduces operating thrust requirements, provides more precise gate modulation and minimizes potential leakage. SlurryFlo engineers select the proper packing and scraper materials based on fluid composition. The entire stack is then energized by a packing follower that is live loaded with Belleville springs. All SlurryFlo control valves are designed and manufactured in house, allowing our engineering team to adapt the top plate to suit any actuator type, brand and model. There is no limit to the level of complexity and technology we can incorporate into each valve. 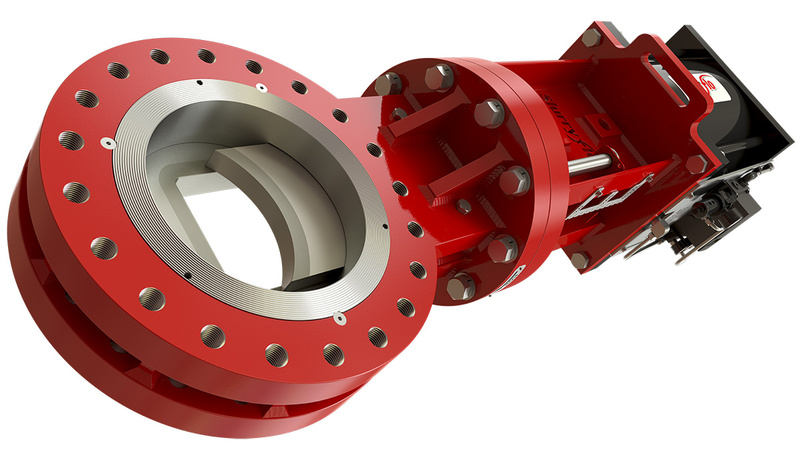 SlurryFlo's unique variable orifice control valve technology is patented in Canada and the United States of America.